If you want great quality grass fed beef there are a few things you need to look for and some questions you need to ask. You may be asking how to buy grass fed beef but don’t know where to start so let me give you some important qualities to look for. If you can buy local that is the best way so you can get to know your grower, but I know that isn’t possible for many and if you can’t find it close to home I will give you some guidelines to look for when ordering online. If you want a good online source for safe healthy meat check out our where to buy grass fed meat page and you can see a few online retailers that offer quality meats at a reasonable price. Not all beef labeled grass fed is the same. First and most importantly is just because the animals are on pasture doesn’t mean they are getting high nutrient rich grass. The best quality beef is pastured in a manner where the animals are kept in small pasture areas called paddocks and moved every day or every few days to new fresh lush grass. If the cows are allowed to graze the whole pasture they will continue to eat the best grass and not let it grow. So the pasture ends up becoming weedy or even bare dirt if there are too many cows. In this case the animals are usually fed hay or other forage because there isn’t enough grass to support them. The questions to ask the producer are, how do you pasture your animals? Do they get fresh new grass regularly? A few keywords you may want to hear are “managed grazing” or “rotational grazing”. Or would you rather have your meat gown like this? Some farmers raise their animals on pasture and supplement with grain to increase animal weight. This does add weight but not quality to the meat. I have had meat from cows raised on grass and grain and meat from all grass fed cows and the all grass fed meat was the best by far. Remember cows were perfectly designed to thrive on grass and it shows up in the quality of the meat. Ask the producer if their animals are given any grain or other byproducts. You want beef that is grass fed and grass finished. Cows do need access to a good mineral source and we have found that kelp and salt works the best for us. Kelp is dried seaweed and it has all the minerals a cow needs if the grass doesn’t have enough for them. 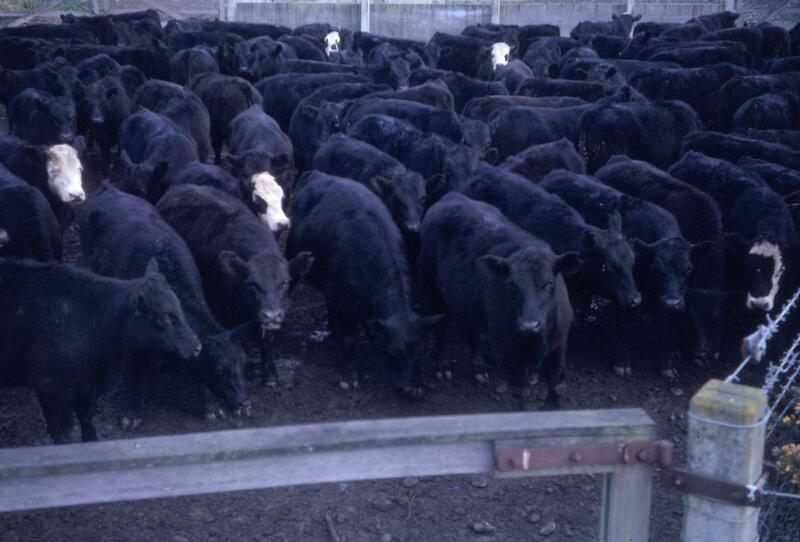 Factors like drought, heat, soil conditions, or animals needs can vary throughout a cow’s life. Kelp is all natural and is easily digestible and makes the nutrients accessible to the cows. Healthy cows make for healthy meat! Don’t be afraid to ask questions. Remember it is your food and your health. The best way to get the best meat is to ask questions and get to know the folks that are raising it. If you would like help with this take a look at our store to see if you live in an area where you could buy from us or you can look at some great online resources we found that will deliver excellent quality food to you. please leave a comment below on your experience with seeking grass fed beef. Great article Jason! The saying “you are what you eat” applies to everybody who eat, not just humans. I found this very informative and really well written. You always hear about “Free Range” chickens but you never actually hear about managed grazing or rotation grazing. It’s great to know that you can buy online meat that’s as good as getting it from stores like ‘Whole Foods’ or ‘Trader Joes’. Great question Erich! 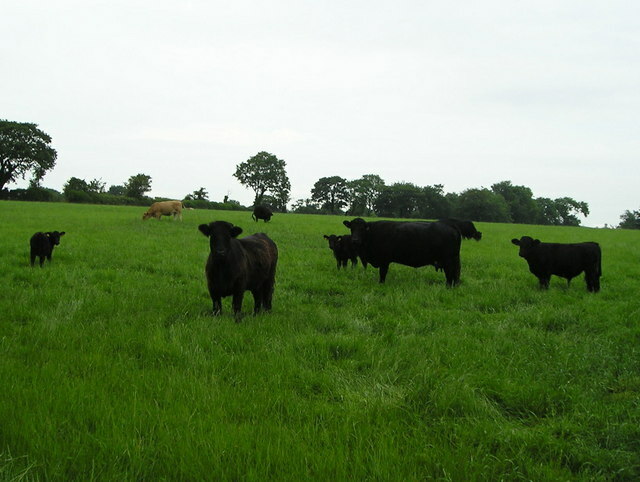 Free range is a more common term than managed or rotational grazing, however they are similar. Free range is more associated with chickens than beef and the idea is that the animals are free to roam and forage for food rather than being confined to a pen and feed brought to them all the time. Hope this helps! Hi Jason, you have done an amazing job by sharing this information with us. Me too believe in the concept of “We are what we eat”. The same goes to the cattle. You are very lucky because you have the privilege of getting access to the grass fed beef. Do you happen to know any information on how can I get supply of grass fed beef in Canada? I lived in Toronto area. Thanks. It is my desire that everyone would have access to local clean, safe, nutrient dense food and there are more and more people seeking it and that is providing ways for more people to produce it. Check around your area Juraida to see what is available otherwise check out our page on where to buy grass fed meat and check out a few people that are shipping quality grass fed meat meat. So glad you are concerned about what you eat! I enjoyed reading your article it’s very informative. I will be sure to keep a lot of the information in mind so that I can use it the next time I’m in the market for beef. Can I ask you a question? Is there any way to tell the differences in grass fed beef and those that are not grass fed from the marbling or certain cuts when your at the butcher shop? Hi Heather, glad you found the info useful. If the butcher can’t tell you if the meat was grass fed or not then there is a good chance the meat is not grass fed. You really wont be able to tell very easily just by looking at it so it is best to find a source you can trust that is talally grass fed. Hope this helps! Hi, I found this article very interesting. I have a friend that usually buys grass fed beef. She feels it is healthier for her family. Her father lives with her and he has Alzheimer’s disease. I believe she buys it at the grocery store. I wasn’t aware that a person could get it online. Good information. Sounds like your friend has been doing her homework. There is a lot of research showing the health benefits of pastured meat. It is much higher in vital nutrients with less toxic chemicals and fat. If you can find it in stores like your friend does that is a step in the right direction however many store brands label grass fed beef that is still finished on grain and that reduces the nutrient content. The best way to be sure is to buy right from the producer that you can trust. This is hard to do for some folks so that is why I recommend a few companies that will ship to you if you can’t get it locally. Thanks for sharing here Joy! You’ve raised some interesting questions. I’ve alwasy assumed that all grass-fed beef would be rich in omega-3s, carotenoids and other beneficial nutrients, without realising that not all grass-fed beef is the same. I’m lucky enough to live in the Channel Islands and our Guernsey cows are among the best for flavour and rich milk. The reson their fats look so yellow is that they are not efficient at turning the yellow grass pigment, betacarotene, into vitamin A, so it remains to colour their marbled meat, cream and butter. Have you tried Guernsey grass fed beef? I’m having some tonite! Yea, guernsey meat and milk is great stuff for sure! I have had it and it is a sweeter tasting meat I think and the milk is nice and rich as well. 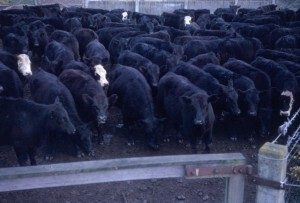 Most of the beef around my area is angus and that is just what our region seems to raise. I am a big fan of any meat and dairy that is raised in a manner where the animals are moved to fresh pasture on a regular basis. That is what makes for tender, tasty, and nutritious food. Thanks for the comment and enjoy that great meat! I loved this article on Grass Fed Beef. I was a chef for 30 odd years and it was always important to me to know where our products had come from. Like you say is important to know the farmers just like it s to know the growers and fisherman. Some farmers are just interested in profit rather than quality. But like you say if you do research you can find good tasty beef. Thanks for stopping by Kevin! I enjoy talking with true chefs that care about the quality of the food they use and prepare. A good chef knows that quality doesn’t come easily and I like working with professionals that want quality and are not afraid to go out of the way to get it. If you have any suggestions on preparing grass fed beef I would love to hear them. Thanks again! I love grass fed beef. I also love grass fed milk and butter. I wish that it was easier to get locally. It is really too bad that raw dairy is completely illegal in the country where I live. I do get all of my beef local and they are raised on pasture. 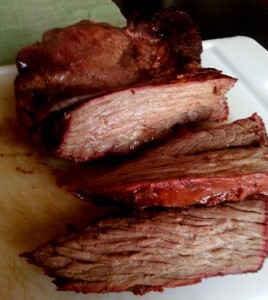 What suggestions do you have for finding local beef? I share your enthusiasim about grass fed beef and dairy Andrea! That would be a dream come true if everyone could have access to good, safe, healthy food at a local level. It would be good for everyone involved and provide healing for soil, plants, animals, and people. The best thing I can say to find local pastured beef is to ask around and get with other like minded people and develop a demand for it. If there is a demand for something, someone will eventually step up to help fill the need. Enjoy that great beef and take care! I’m a big fan of grass fed beef, primarily for the humane reasons. Those two photos you posted really tell the story. I feel much better eating meat from cows that were treated well and lived under humane conditions. The amazing thing to me is how different grass fed beef tastes from regular beef. You’d think it’d taste essentially the same. Maybe a slight different. But it’s really a distinctive taste and one that I enjoy. Hi Mike! I agree with you that the difference from grain fed beef to grass fed is significant. I would not enjoy going back to grain fed beef now that I have had the real thing. We enjoy raising our beef cows on pasture and it is awesome to see how content they are and when it is time to move them into new pasture they get so excited. It truly is a joy taking care of them and all the animals we have on lush green grass. Glad you found real food and enjoy all the benefits from it.